One of the most common forms of knee pain is knee pain when going down stairs. Going down the stairs produces a lot of stress on sensitive joints and ligaments around the knee, so it’s possible to experience pain in this situation even if you have no other knee discomfort. In fact, going down stairs is a significantly more burdensome activity than climbing up them. Many different conditions can produce knee pain going down stairs. An accurate diagnosis is key, but your own observations about your condition will help your doctor get it right. This common condition is often experienced by people who run or jog frequently, hence the name. It is usually caused by muscle weakness or tightness in the muscles around the patella or kneecap – a small, freestanding bone. It’s characterized by kneecap pain and mild swelling. Runner’s knee treatment includes home care such as stretches and exercises that strengthen the glutes and quads. Cryotherapy is generally helpful for reducing the inflammation and pain of runner’s knee. When anatomical issues contribute, special insoles may help prevent attacks. 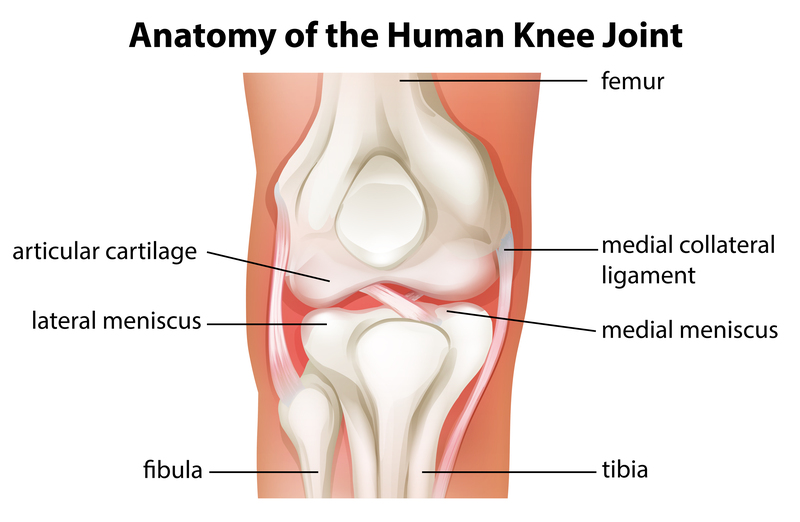 This condition is caused by damage to the cartilage lining the kneecap. Sufferers experience an aching pain in the kneecap along with mild swelling. In addition to knee pain going down stairs, the condition may be aggravated when standing up from a seated position. The condition is most likely among younger people who engage in regular exercise. Women are more often affected than men. Kneecap stretches and exercises are common self-care. Rest, icing, and elevation help, as will non-steroidal anti-inflammatory medication like ibuprofen. Osteoarthritis can affect joints throughout the body. The knees are some of the most frequently affected areas of the body. Sufferers are likely to notice stiffness in the morning, reduced range of motion, and pain in the affected joints. Osteoarthritis is one of the most common age-related afflictions. Over time, degradation of the cartilage can result in bone spurs and make the bones themselves more prone to breakage. No treatment can completely resolve the issue, but symptoms can be reduced and quality of life preserved. Various forms of medication can be prescribed to control symptoms and slow the progress of the condition. Hydrotherapy, stretching, and physical therapy targeting damaged knee joints can also provide relief and preserve range of motion into later life. The pes anserine bursa is a small, fluid-filled sac that serves to reduce the friction between tendons and bone around the knee. Because the pain is centered in an area about 2-3 inches below the joint, on the knee’s inner side, it is often easy for sufferers to recognize. Runners and swimmers are at enhanced risk of pes anserine bursitis. Women who are overweight are somewhat more likely than overweight men to encounter the issue. Your doctor may prescribe a corticosteroid injection that reduces pain and makes other treatments more effective. If you suffer from frequent knee pain going down stairs, it is important to seek treatment as soon as you can. Knee pain going down stairs can be a sign of a serious condition, including degenerative issues that require long-term care. When evaluating knee pain, a doctor may take a wide range of diagnostic images. These may include a traditional x-ray, CT scan, or ultrasound. The ultrasound, which uses sound waves to develop an image of the body, is especially helpful because it can pinpoint problems in soft tissue. Blood tests may also be necessary if arthritis and certain unusual infections are suspected.